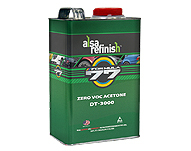 Where Value and Quality Meet! 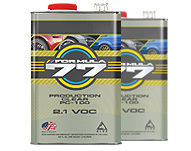 The Formula 77 line was designed to meet today’s changing and turbulent economy- without compromising the quality of raw materials. 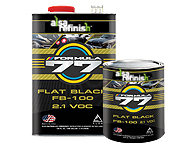 Formula 77 line consists of the industry’s most demanded products including Clearcoats, Aerosol Primers and the popular Flat-Black. 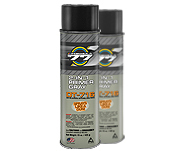 Formula 77 2-in-1 Aerosol Primer is a specialty coating designed for easy and convenient priming of metal and plastic parts. 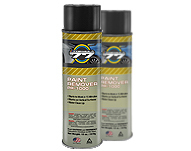 Helps seal out moisture and prevent rust, while providing a smooth base for top coat applications on metal substrates. 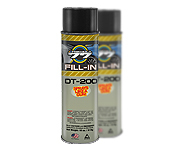 Outstanding flexibility and adhesion properties that enable it to be applied to flexible ridged parts. 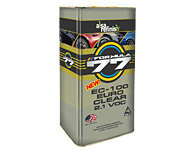 Extremely fast drying, provides superior fill and build. 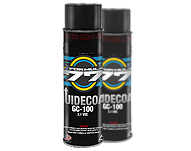 Compatible with virtually all automotive paints and coatings. 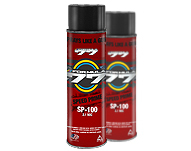 Fromula 77 Aerosol primers are designed as specialty coatings for easy and convenient priming of metal or plastic parts. 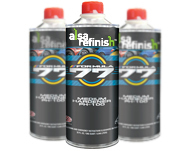 AlsaRefinish Aerosol primers are designed to seal out moisture and prevent rust, while providing a smooth base for top coat applications. The Fanspray valve requires 50% less finger pressure, allows greater coverage with less overspray, manipulates like a professional spray gun. 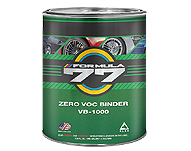 Formula 77 includes urethane primers and clears designed to meet all current 2.1 VOC legislation as well as the national rule 3.5 VOC and on this Binder, Zero VOC.